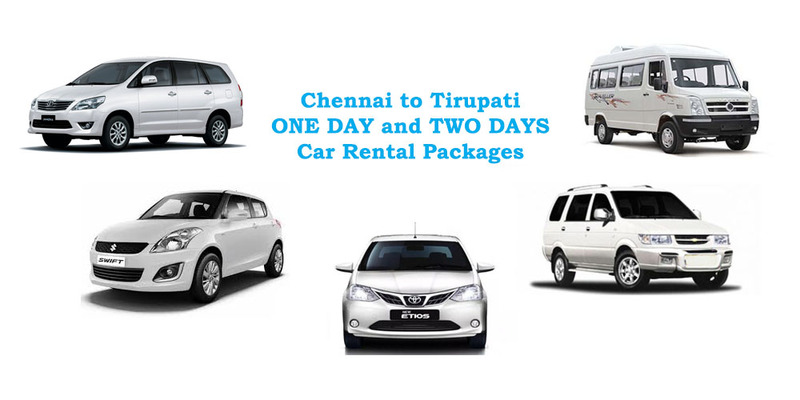 Sri Balaji Darshan Travels offers variety of cars to choose from under this car rental package. Tata Indica, Tata indigo, Toyota Etios, Shift Dezire, Mahindra Logan, Toyota Innova, Mahindra Xylo, Tavera and Tempo Traveler are available with us. All our prices are best in the market. Our driver will guide you for all kind of darshans and function arrangements. We also guide you to get the best accommodation at affordable price. Your satisfaction is the key to our growth and We will take all necessary steps to make sure that you get a safe and peaceful trip. Package includes visits only to Tirupati Tirumala and Tiruchanoovur temple (Padmavathy Amman). Above tariff includes Toll Charges, Car Parking Charges, Permit Tax and Driver Beta. If would like to visit Kalahasti Temple, Rs 1000/- extra will be charged. Packages does NOT include: Food, 300 Special Entry Darshan Tickets, Prashatham and Accommodation. Reach out to our enquiry team immediately for any booking related queries. We will be more than happy to help you! TAGS: TIRUPATI PACKAGE | TIRUPATI PACKAGE FROM CHENNAI | TIRUPATI DARSHAN FROM CHENNAI | CHENNAI TIRUPATI PACKAGE | CHENNAI TO TIRUPATI | CHENNAI TO TIRUPATI TOUR PACKAGE | CHENNAI TO TIRUPATI CAR | CHENNAI TO TIRUPATI PACKAGE | CHENNAI AIRPORT TO TIRUPATI | TIRUPATI DARSHAN ONLINE BOOKING | ONE DAY TRIP TO TIRUPATI FROM CHENNAI | TIRUPATI TOUR PACKAGE FROM CHENNAI | CHENNAI TIRUPATI TOUR PACKAGE | CHENNAI TO TIRUPATI CAR RENTAL | TIRUPATI ONE DAY TRIP FROM CHENNAI | CHENNAI TO TIRUPATI CAR PACKAGE | CHENNAI TO TIRUPATI TRAVEL PACKAGE | CHENNAI TO TIRUPATI PACKAGE TOUR| CHENNAI - TIRUPATI DAILY TRAVEL PACKAGE.